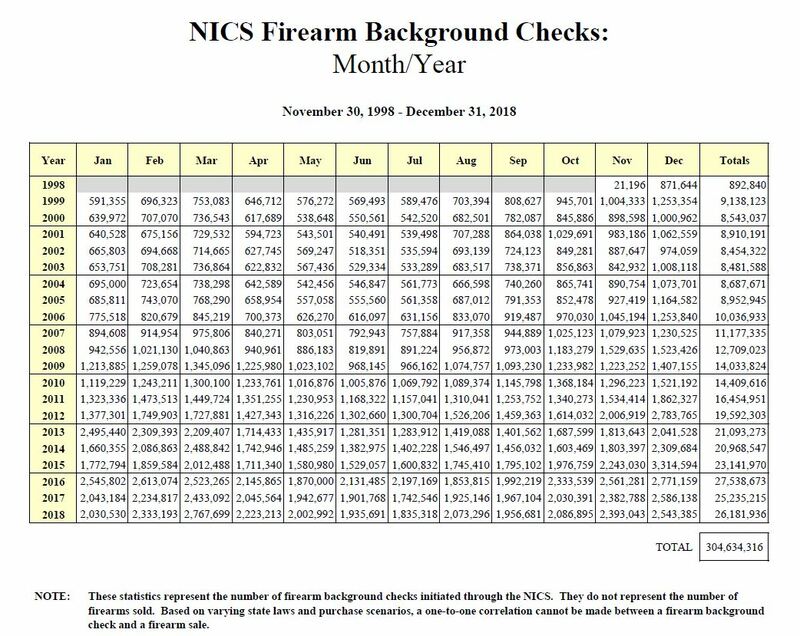 Just yesterday I posted about the official FBI NICS numbers for the year 2018 which turned out to be the second most prolific in the history of background checks and we get this load of BS from The Trace. 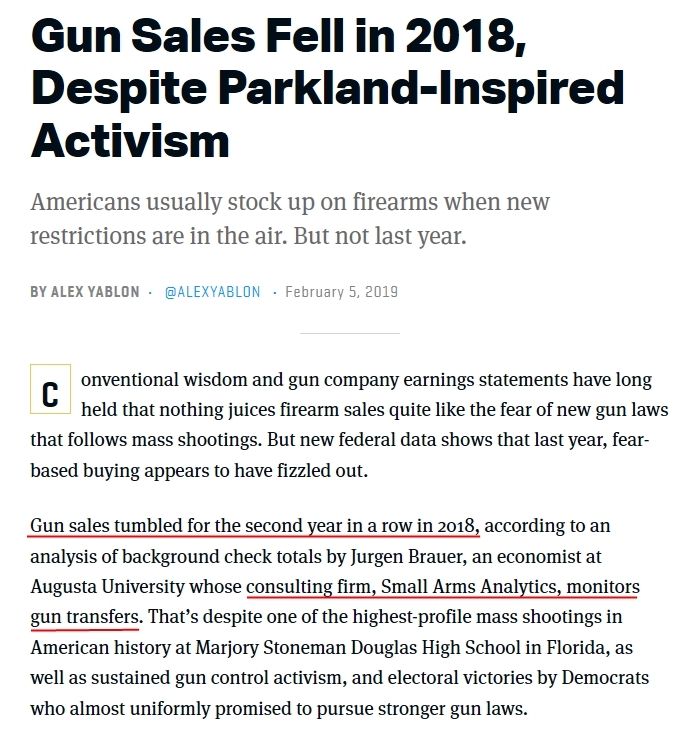 Now, the only way I figure Mr. Yablon claims “Gun sales tumbled for the second year in a row.” is because 2016 is the owner of the running for NICS checks with 27,538,673 and gun sales did drop to 25,235,215 in 2017 which makes it the third highest number in history. I have no idea where the researchers hired by The Trace got their gun transfer numbers, but sure as hell was not the FBI. But are going to make the assumption that like with all Gun Control, the default position is to lie and manipulate those lies. Hat Tip to Weer’d Beer for this one. UPDATE: I Twitted Mr. Yablon asking him about the incongruity between his researchers and NICS. This was the response. Why do I feel like quoting Mark Twain? As you like to say, “if your cause is righteous, why lie?”. NSSF does an “adjusted” background check monthly but I haven’t found their graph for all of 2018 and I’m too lazy to look the up and add them up from the monthly estimates. “Maybe” the Trace or their source wasn’t so lazy. Even that only estimates transfers requiring individual NICS checks. It won’t be for another year plus before ATF publishes manufacturing and import/export data Time will tell. 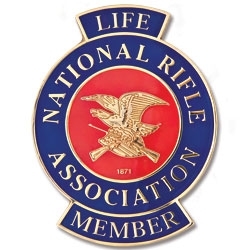 Note that they completely ignore the LACK of NICS checks for gun purchasers who hold concealed weapon permits. At least 25 states (according to the ATF) exempt carry permit holders from a NICS check when buying a gun — and the number of both such states and the holders of carry permits have been steadily trending upwards. There can be no doubt that millions of gun purchases in 2018 were not counted by the FBI for this reason. They “Adjust” numbers all of the time to fit the liberal narrative. Guns, opinions on illegal immigration, climate change, who voted for whom. They lie constantly.